Update 3/27/12: I received a note from Brian today that included these pictures of his Sprint back seat. He’s getting it redone, but thought we would like to see the originals before they disappear. 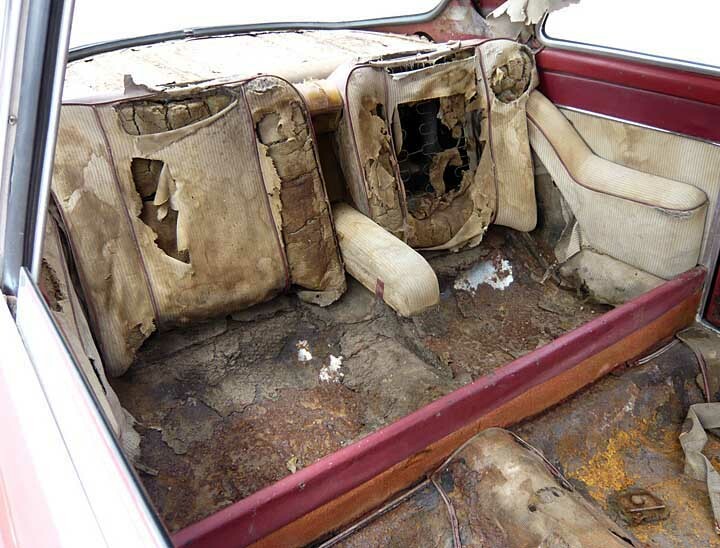 This rear seat is in great shape for being original -but still has the usual discoloration from water or whatever. Here again is the raised headliner bit -as if someone tall enough to need clearance would fit back here. Looks like the stuffing has died. Underdash Norelco razor? I don’t think the bottom cushion is original. Child seat mount straps or seatbelts seen between the bottom and back on the driver side? Door panels look really good. Nice to see a good set of these. Originally posted 8/16/2008: A rear seat in a Sprint. This is one of those ‘what were they thinking’ accessories, like a phonograph or an in-dash DVD player. I earlier reported that on one desperate occasion I had 5 people in my Sprint and it was a squeeze of clown car proportions. I am not overly tall or long legged but when I am driving my Sprint there is maybe 3 inches between the back of my seat and the ledge the rear seat would sit on. It can’t be more than six inches with the seat all the way forward. I could see this working for a small child, maybe. It’s possible there was a tax or vehicle registration benefit to having the Sprint be a 4 seater that outweighed the cost of the seat but I’m not sure. I do know that Italian tax and registration laws of this era had all sorts of weird impacts on vehicles, most notably the sub 1300cc and sub 600cc breaks. I’ll explore this at a later date. Below are two examples of rear seats I’ve come across recently. I’ve probably seen three more in the last year in my scouring the net for cars to write up. I have a feeling that when orders for the rear seat didn’t materialize, Bertone started shipping them with cars to get rid of them. I think all the rear seat cars I’ve seen were 1959 or 60 cars. Vaguely reminiscent of the rear seats found in GTV’s but with a center fold down arm rest. This one seems to have been redone at some point as the original upholstery would look more like that in the next picture. Besides the obvious decay this upholstery looks correct and original. Something else I’ve been thinking about with regard to rear seats is that I’ve never seen a Giulietta Sprint in very good original or restored shape with rear seats. The above two examples are about the average condition of cars I’ve seen with a rear seat. Maybe there is something common in the psychology of the person that bought a Sprint with a rear seat option that kept them from taking care of their car. A funny thought, but I think the answer is in the law of averages. Maybe 5% of Sprints survive as nice cars, and less than a 0.25% of Sprints had the rear seat option, statistically maybe 5 cars in good original shape with the rear seat option survive world wide. 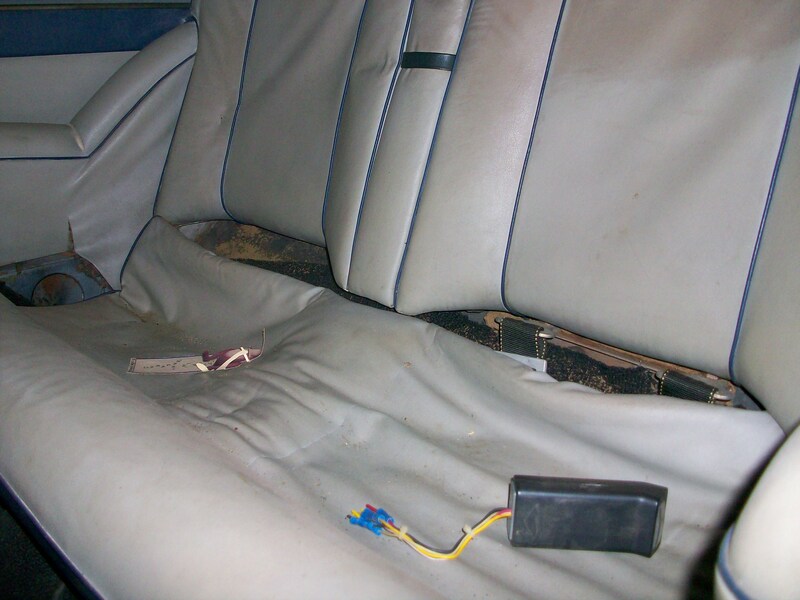 I also can’t help but think that anyone going through the effort of restoring a Sprint would see the addition of a rear seat as wasted luggage capacity. Someone with a good condition car with a good condition rear seat please send me a picture of your car to sprints@giuliettas.com. When I find a period picture of a Sprint with a back seat I’ll post it here. This entry was posted in Giulietta Accessories, History and tagged Alfa Romeo, cars, Italian cars by Hamilton. Bookmark the permalink. 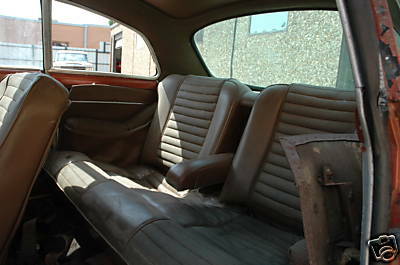 A lot of cars in the 50s and 60s seem to have these hypothetical rear seats, including my 62 Healey 3000 “2+2” and 67 Fulvia Coupe. 356 Coupes also come to mind. None have seating adequate for sober passengers. But, besides tax breaks, Alfa may have had the notion that a rear seat would have real marketing value to some potential buyers. For example, to the husband trying to convince his spouse that the Sprint could be a practical family car: “Look, my Love! A back seat! Perfect for the children/your mother, the legless midget/the Borzoi! (strike out where not applicable)”. To be fair to the designers of these cars, these back seats may actually have been usable for hauling little kids around in the days before gargantuan baby seats became the rule (and before seat belts became the law, for that matter). Speaking of the law, would having a back seat in a Sprint today mean that you and your copilot could not use the high occupancy vehicle lane (“Two people in two seater okay”), while the same couple in a Sprint with rear parcel area could? 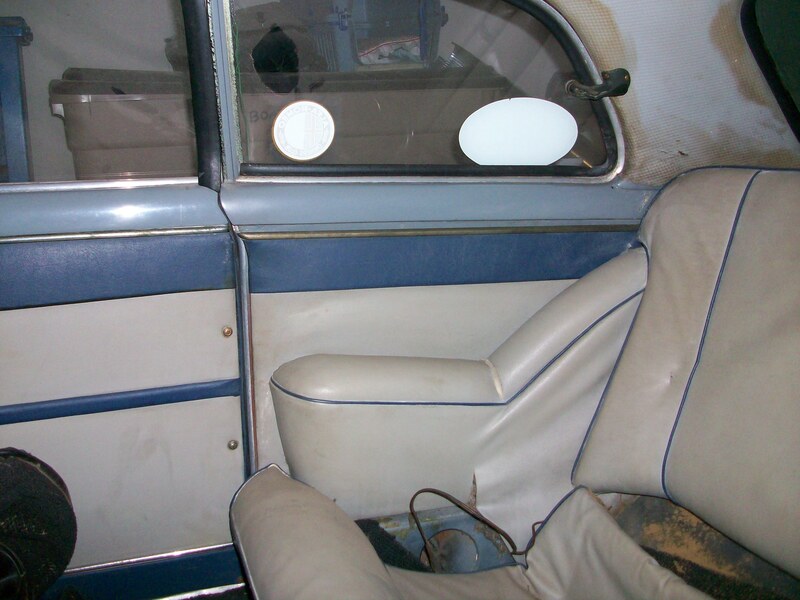 My 1959 had a back seat but It was not original. I had it done in San Antonio,Texas. What some folks might not realize is that the Sprint was,in fact, the primary car for some of us. I sold it in the mid sixties in San Antonio after my family had grown to a wife and two young sons and and a English bull dog. We traveled to the state of Washington in the Alfa with the total family. Yes, it was crowded but we made the round trip with not too many problems. Note:fuel pump went out in Wyoming causing a two day delay.) I am wondering if the Alfa still exists in the San Antonio area. I have photos of it I could forward if you could use. Please send me a picture -the car may be out there still. My Sprint had a Motorola radio under the dash that had the speaker mounted to the radio. I’ll see if I can dig up a picture. You could look through the Flickr photo set I have for Sprints, but there are a lot of pictures!! 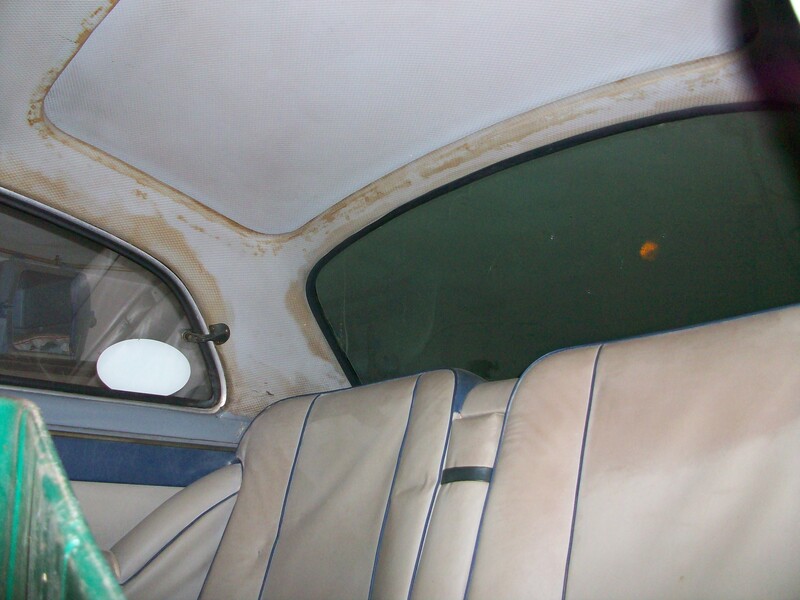 I have a 1959 Sprint Coupe with a back seat. Be glad to send a picture of it but where do I send it?